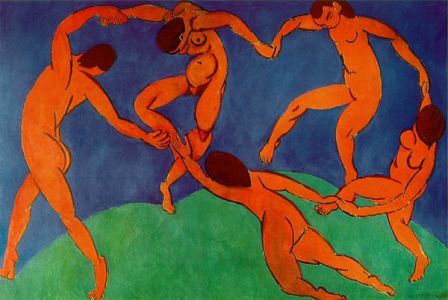 The theme of dance has attracted many French artists from Poussin in the 17th century to Derain, Matisse and Picasso in the 20th. It will be interesting to consider some of the reasons why and of course how these and many other artists used dance in their works. Obviously dance can animate and give a sense of movement to a 2-dimensional painting but several artists became actively involved in dance as a theatre art.